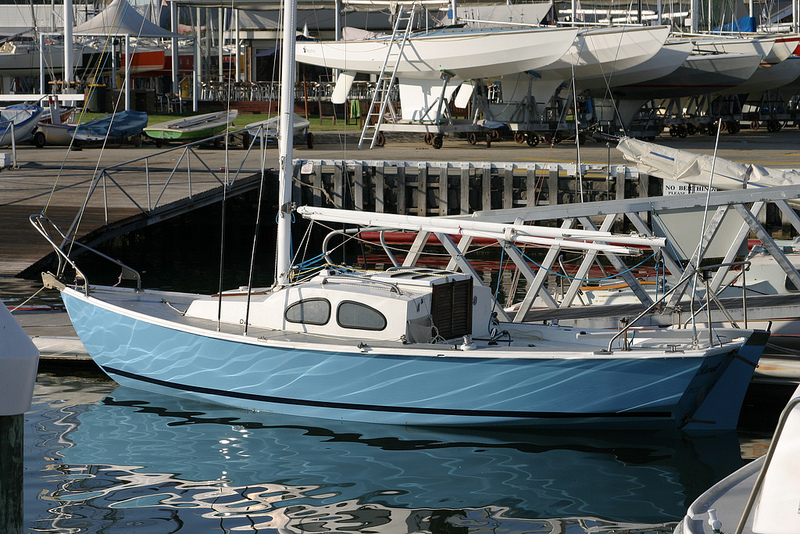 The Bluebird is a compact keelboat: 22ft long with four berths. Known for their robust construction and affordable price tag, the Bluebird makes for an ideal first yacht while still holding enormous attraction for anyone, including seasoned yachties, who enjoy the thrill of competitive class racing or simply a safe cruise. The Bluebird has been responsible for teaching many sailors about sailing techniques and tactics. In fact, under experienced hands, the class can give larger keel boats with more modern designs a run for their money. It is also an economical alternative to getting into sailing - it doesn't have to cost you the earth to own and sail a keel boat. Interested in buying a Bluebird? All care no responsiblity - Of course ! !